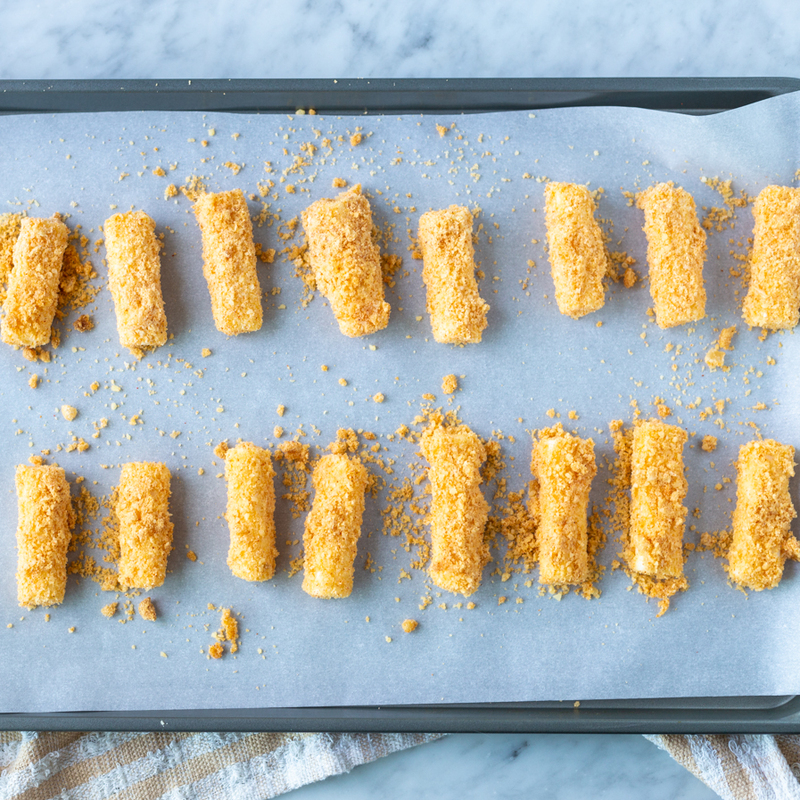 Cut the mozzarella cheese sticks in half and freeze for one hour. 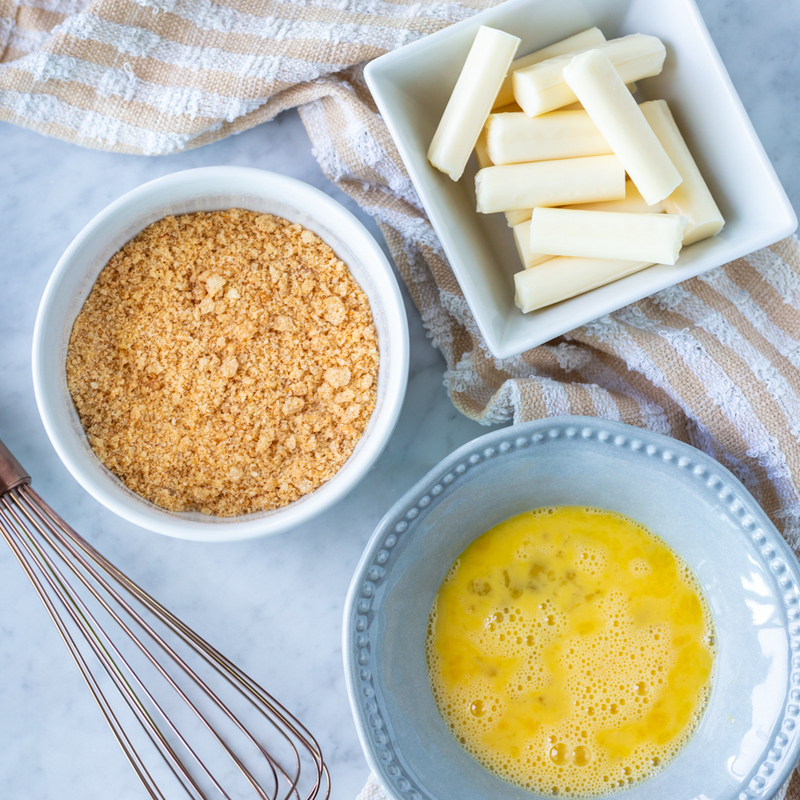 Combine dry ingredients in a bowl. In a second bowl, beat the egg. 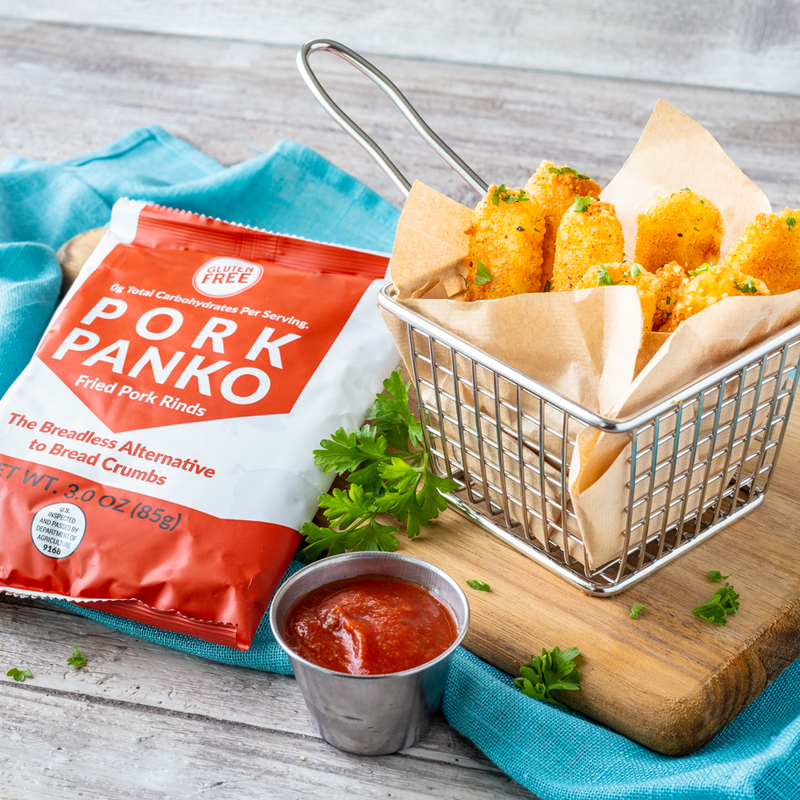 Dip cheese sticks in egg batter, then coat in pork rind mix. Put back into the freezer for 30 minutes.